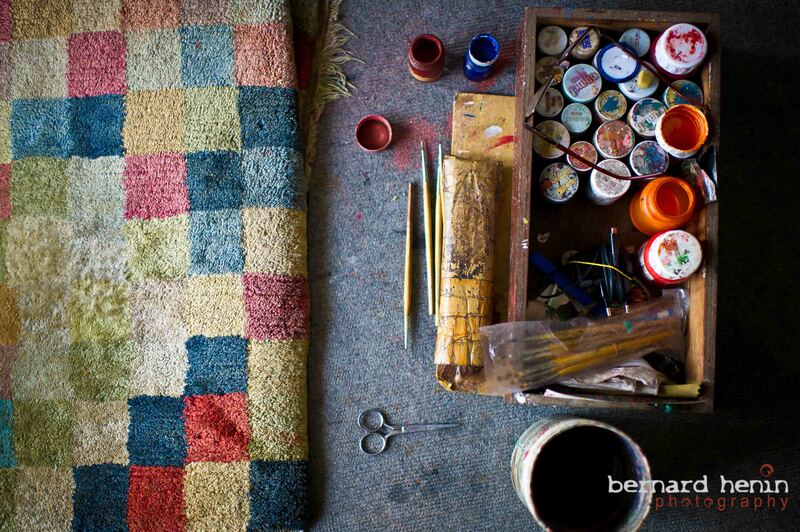 When I was in Nepal I visited a Thangka workshop. Here’s a post about this incredible art, it’s history and meeting with a Master painter. It’s the display of colours and patterns that strikes you first. Then you notice the tranquillity of the workshop contrasting nicely with the racket of Katmandu city centre. I shouldn’t be surprised as I am in a Thangka workshop in the heart of the Nepalese capital and surrounding me are ten Thangka artists painting quietly. Concentrating on each brush stroke, most of them barely notice my presence. What they create nevertheless is something that is exquisite and exported the world over. You might wonder why this commonly known Tibetan art is produced predominately here in the heart of Nepal instead of in Tibet? As we shall see, history provides the answer and it’s more surprising than you would think. A good place to understand more about Thankga paintings is the Dharmapala Center in Katmandu, a traditional Buddhist Thangka painting school. 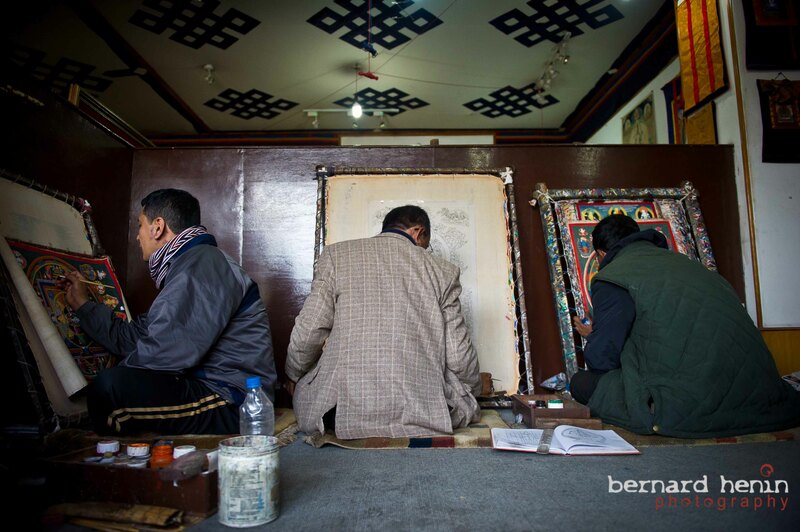 This centre, founded more than thirty years ago, has been creating high-quality Thangkas closely adhering to traditional painting customs and supervised by lamas of the Nyingma order. The outstanding paintings from the school have been featured in exhibitions all over the world (US, Japan, Europe, Australia,..) bearing testimony to the skills of these talented artists. Formed by Karsang Lama and then followed up by Master Karma Tse Ring Moktan-Lama and Yubaraj Lama, the school has trained more than three hundred artists in the fine art of Thangka painting over the decades. Thangkas are paintings on silk or cotton fabrics which usually depict a Buddhist deity or a mandala of some sort (mandalas are geometric figures representing the universe in Hindu and Buddhist symbolism). Master Karma Lama explains; “Thangkas were first created in Ladakh, India. This art form then moved into the Kingdom of Nepal more than fifteen hundred years ago and found its way through Tibet where it blossomed. The word Thangka derives from the TIbetan word of “Thang-yig” meaning a written record.” And as such a Thangka was originally intended to serve as a visual guide to the complex spiritual world of Buddhism. In those days it was common for a group for scholars and priests to travel by yak to distant regions in the Himalayas, set up tents, unroll the Thangkas and serve the local people by teaching Buddhism before moving on to another area. Rolling and unrolling the paintings combined with rough transport handling and poor storage unavoidably damaged the paintings and many of the original paintings have been lost. The popularity of the paintings grew very quickly with the spread of Tibetan Buddhism. From the 14th century to the 18th century, Thangka painters were heavily influenced by Chinese culture as well. Coming from the Tamang people, Master Karma Lama’s personal story reflects the cross cultural origins of the Thangkas. The Tamang people were Tibetan warriors who decided to stay in Nepal due to the favourable living conditions they encountered there. Nevertheless, they were proud of their Tibetan roots and kept strong links with their heritage while living in Nepal. Indeed when Karma Lama was eleven years old he was sent to a remote monastery in Tibet to learn the fine art of Thangkas and the spirituality that is associated to it. He returned six years later and became a well known Thangka artist in his area, mainly commissioned by local monasteries or for burial ceremonies.As Master Karma Lama said “In those days, I never imagined that people other than practising Buddhists would be interested in buying my paintings.” However things changed when he first visited Katmandu in 1979 with his grandfather. He recalls vividly “In those days, the Thangkas being sold to tourists in Thamel were poor imitations that didn’t respect the rules and norms of true Thangka paintings. I couldn’t understand any of them”. He returned to his village disheartened by what he saw;”These were artists without spirits, what was the point?”. 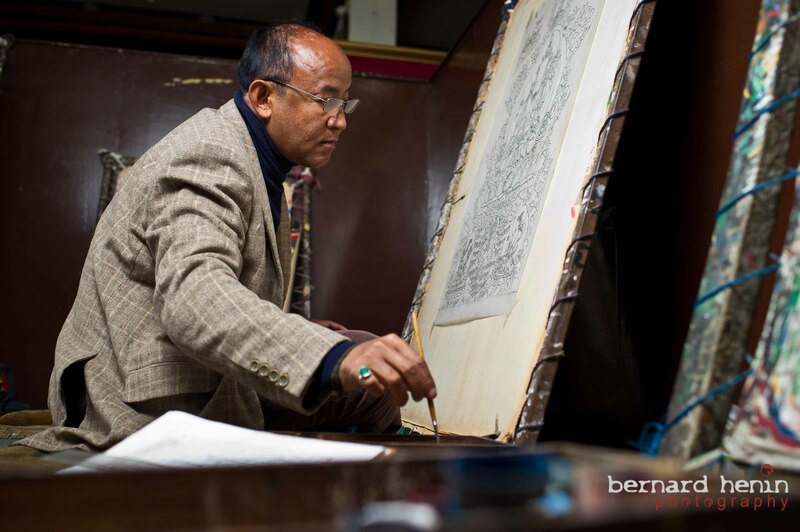 He came back to Katmandu in 1982 with Master Karsang Lama and Yubaraj Lama and decided to challenge the artistic landscape of Thangka paintings in the capital. They set up a workshop and though it was tough in the beginning, their business slowly started to grow. Soon after they started to hire the ‘fake’ Thangka painters so that they could teach them the religious significance of the Thangkas. Thirty years later and with over a hundred artists trained, the result is inspiring. 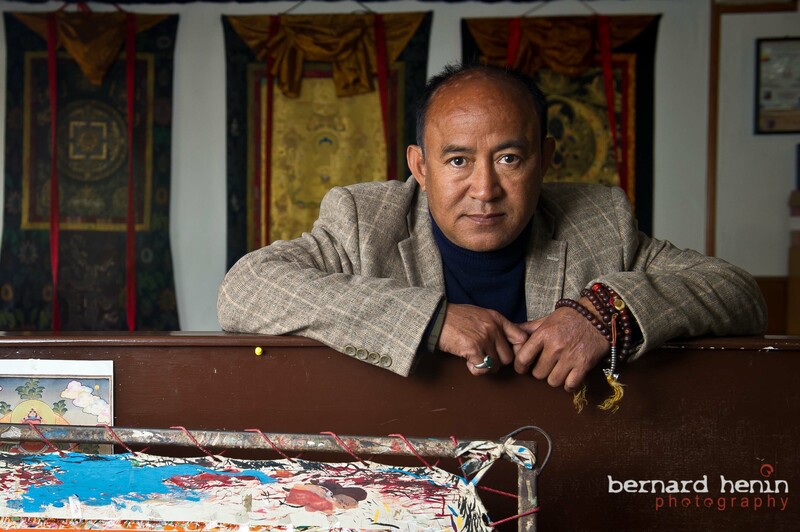 “We are living in the new golden age of Thangka paintings,” says Master Karma Lama. So what makes a good Thangka? Time. A lot of it. The canvas alone takes at least three days to manufacture. 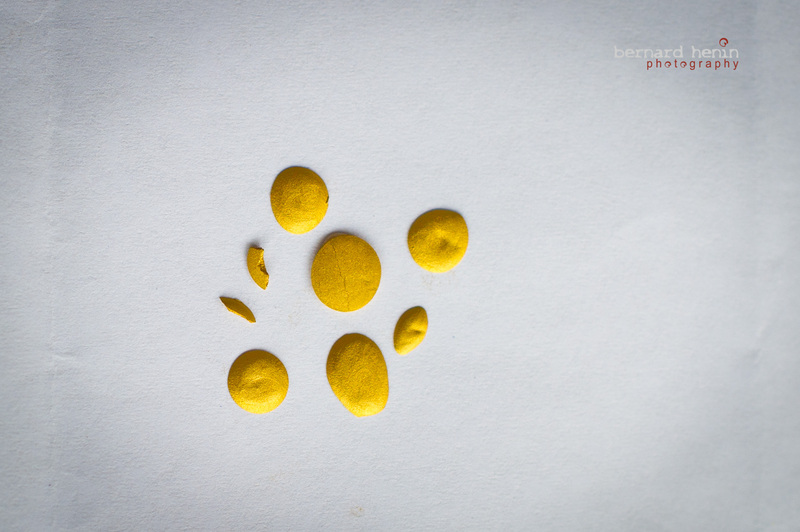 It is made of silk or cotton which is impregnated with a mixture of mud and yack skin, dried out in the sun and then scrubbed manually with a round stone several times. Once the drawing is made on the canvas there are three stages in the painting. First, the less experienced artists in the workshop apply the colour and shading. 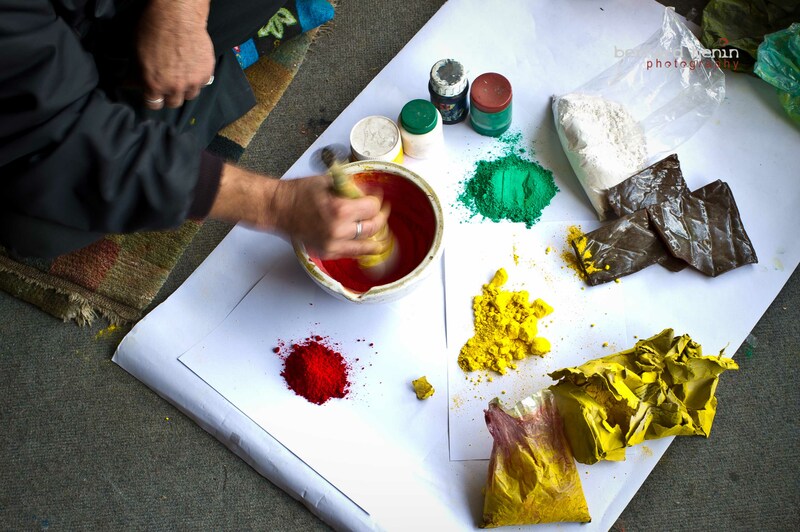 Next, a more experienced artist adds gold and linings or borders. Finally, the visages and eye expressions are painted by the most experienced artists or the master himself. 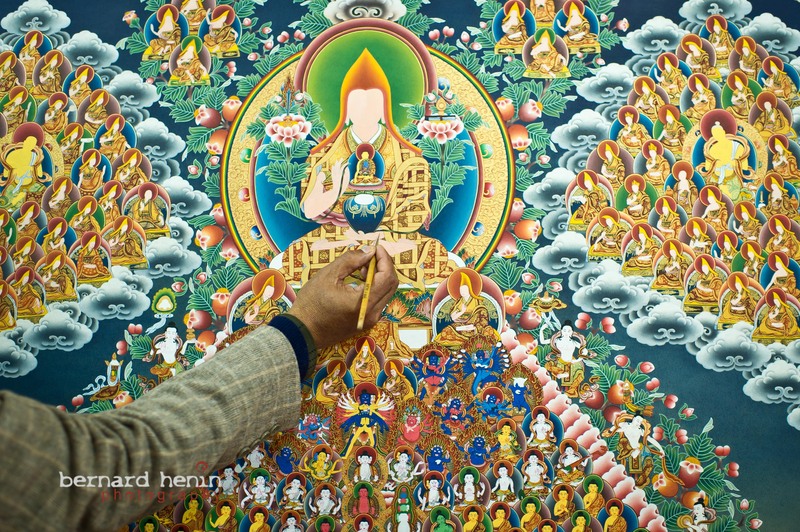 Depending on the size and complexity of the Thangkas, each painting can take months to create. Gold to be used on the painting. 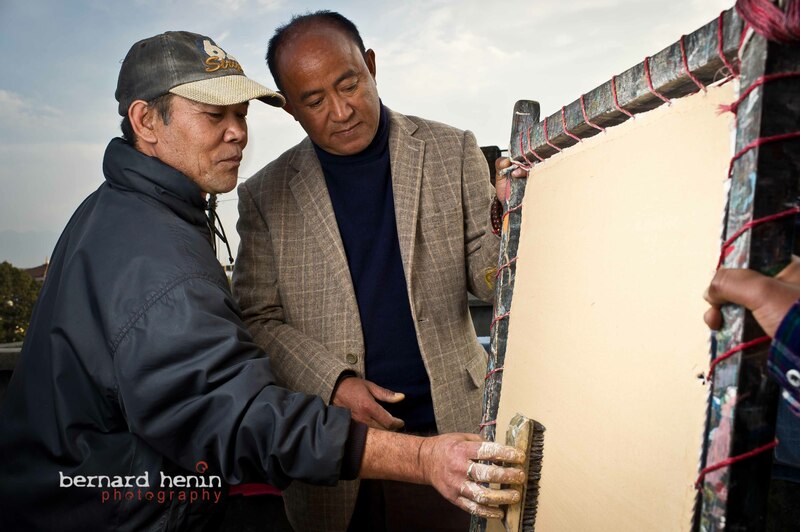 Master Karma Lama inspects the preparation of the frame. 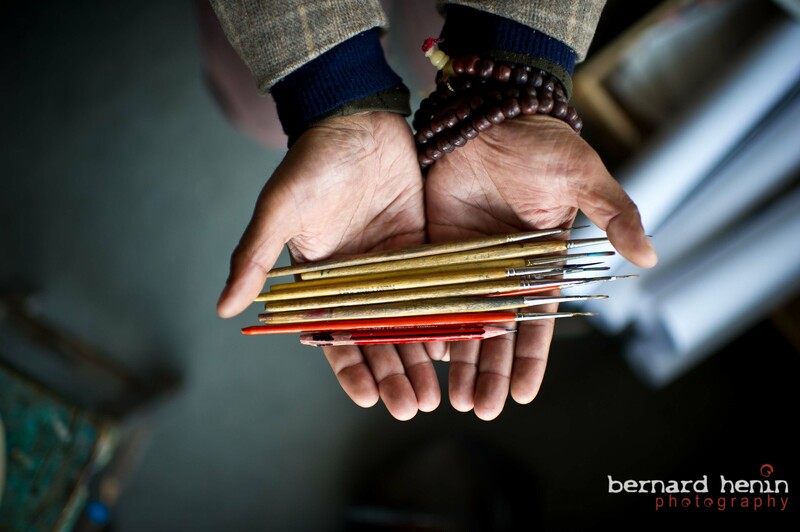 As I remember my visit at the workshop, I feel that it has been a privilege for me to meet these skilled artists and hope to visit them again next time I am in Katmandu. Hope you enjoyed reading this! See you on the next blog post. Previous Competition – Win a great photography book!